In recent months, fans of the show have learned that in the second season, there will be lead female characters. So this dichotomy of male versus female will need to shift. Of course this dichotomy between gendered spaces that has been employed throughout the first season doesn’t function identically to real life. The world doesn’t function in a stable, static, and rigid gender binary. In popular media, we’ve created this dichotomy to simplify the world and tell a story. Through this simplification though, individuals are reduced to specific and expected gender performances, with little to no room for a shift. There is no space that is not always in flux in the real world. True Detective serves as an excellent case study in this particular static dichotomy. The punch line to all of this, then, is this: in order to sell the show to the audience and to keep viewership ratings high, the show cannot by any plausible means develop every character to a complex and complete person. In True Detective this is executed in the manner of women being reduced to stereotypes and particular categories of womanhood, while only two men in the show are developed. Of these two men, one is developed as a stereotype, showing that it is possible to be a complete and complex individual while fitting into certain categories. This character, of course, is Marty Hart. The other man, Rust Cohle, is the only character who poses the questions that the show really wants to explore. Clearly these questions must be posed in an exclusively white male space to be removed from questions of gender and other classifications. The truly fascinating part of all of this, however, is that the show was written in such a way that all of this is made possible by telling the story through the lens of the two main male characters. Otherwise, it would be borderline impossible to create an exclusively male space without truly being a misogynistic product. In the next season, Nic Pizzolatto (the creator and writer of the show) will have to introduce female spaces in order to keep his audience happy. So what can we do until the second season airs on June 21st? There are many other TV shows that tackle similar topics. There are also many shows that attempt to deal with questions of gender in crime dramas. Some of them may be worth watching, and some of them may fail miserably. After all, True Detective seems to have set a new standard for crime drams. In the future, I hope to watch some of these shows and have an opportunity to analyze them in a similar manner to this blog series. The Killing, Top of the Lake, and True Blood are at the top of my list. 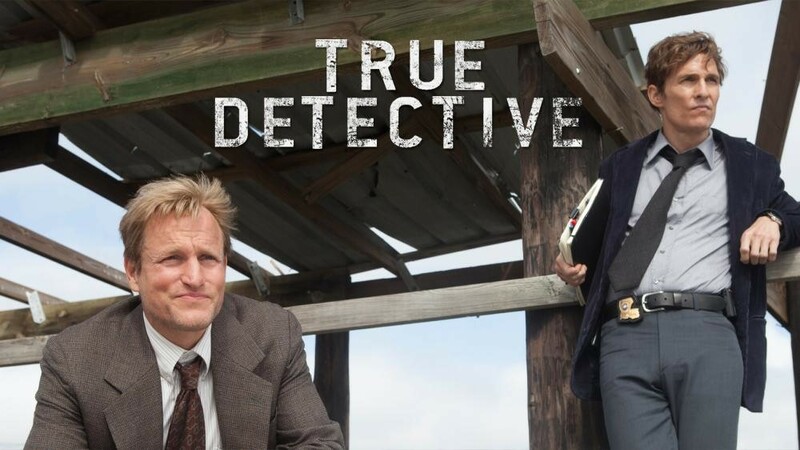 This entry was posted in Relevance of Humanities, Religion in Culture, Student Blog and tagged Classification, Gender binary, Sarah Griswold, Static dichotomy, True Detective by admin. Bookmark the permalink.